Price listed is for six glass stones. 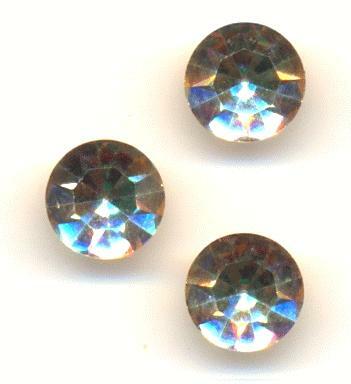 These are 34ss (7.0-7.2mm) Swarovski medium vitrail rhinestones. They have faceted tops and pointed gold foil backs. It is hard to get a good picture of the color, but these are very bright stones reflecting shades of rose, gold and peridot.